Just a reminder everyone that if you don't have it in yet, your cherryArte entries are due by midnight tonight. Winners will be notified on Monday and prizes will go out by the end of next week. Please see the cherryArte competition post for details. Keep those entries coming. Good luck to you all. Scenic Route Paper Co. is searching for a handful of new designers to add to our talented design team. 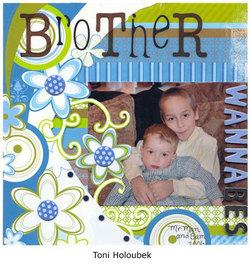 Submit 3 scrapbook layouts that give us a strong sense of your scrapbooking style. You are strongly encouraged to use Scenic Route Paper Co. products in your submissions in order for us to get a sense of how you work with our specific designs. Your submission remains your property.Layouts should be sent in a single email to layle@scenicroutepaper.com, in JPEG format, less than 500k each. Please include in your submission your name, email, address, phone number and list any manufacturer or online design teams you are currently on. Regular mail will not be returned. Deadline for submissions is August 18. New design team members will be contacted via phone by Thursday, August31st. Design team benefits include design kits, new product releases, recognition on the Scenic Route Paper Co. website, as well as compensation for published magazine submissions and other work done on behalf of ScenicRoute Paper Co. Full details will be shared with the new design team members. Design team requirements include a 1-year, non-exclusive commitment from September 1, 2006 through August 31, 2007. Designers are required to submit 3 layouts and/or projects to magazines each month and for use on our online gallery. 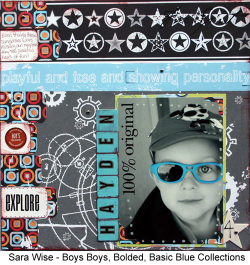 Posting layouts and projects on industry scrapbooking websites is strongly encouraged. Please email any questions pertinent to the design team search to layle@scenicroutepaper.com. We look forward to seeing your work! Have you seen one of the hottest new game shows this year by the same name? Well even if you haven’t, you’re going to love playing with us! I hope you’re up to the challenge! 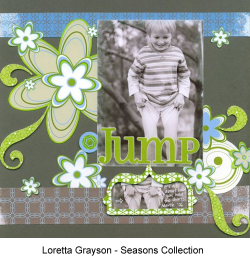 This is going to help inspire you to use Arctic Frog scrapbook products in new and creative ways. It will also give you great ideas for that stash of Arctic Frog product that you just haven’t found a good use for yet AND it could win you cool prizes all at the same time! It just doesn’t get any better than that! We will play this game as the ‘real’ show is played on television, but we’ll do it over the internet! Arctic Frog will choose contestants based upon submissions received over a one-week period of time. Don’t worry if you don’t make that first deadline, we’re going to play with one contestant a week through September 30th so you’ll have plenty of opportunities to play! Each week the submission ‘assignments’ will be given out via my blog on Monday morning (alannahjurgensmeyer.typepad.com). To enter, you'll email your entry to DOND@arcticfrog.net Please include your name, mailing address and phone number on your entry. Only one submission per person will be accepted per week. Some assignments will be based on techniques, while others will use a particular product or line of products. If one week’s assignment just doesn’t thrill you, then hang back and wait for the next week…it might be a better fit for what you have on hand or for your particular style! The Arctic Frog Design Team will vote on the Top Ten submissions for the week on Friday night by 9 pm CDT. Once the Top 10 is determined, those 10 people will have a chance to become that week’s contestant. Our version of Deal or No Deal will be played the very next night during a live chat on Saturday or Sunday at 9 pm CDT (see each weekly challenge for contest play date that week). The Top 10 selected must be available for the live chat at that time. If the contestant who is chosen is not in the chatroom by 9 pm CDT, then her chance to be a contestant that week is forfeited to one of the remaining 9 selectees. And don’t forget to drop by the chatroom at www.arcticfrog.net/chat.asp even if you’re not in the Top 10 for the week to watch the action and help contestants decide on which boxes to open! They’d love to have your support and the chatroom will be open to anyone wanting to gain access, no invitation needed! Inside the chat room, the contestant will choose 1 box out of 15 available boxes. There will be a control person outside of Arctic Frog (possibly another SB guest celebrity?) that will be given the 'key' to the boxes so the contestant can be assured that the contents of the boxes are being revealed fairly. Each week the box contents may be different, but the contestant will see a list of what’s in each of the 15 boxes (without knowing which one is which of course) before her game will begin. Examples of what might be available to win in a box will be posted with the original game rules. There will be a host and a banker for each contest who act in the same rolls as on the game show. In case you haven't seen it on TV, this is how it works: the contestant will initially choose one box that will be considered ‘hers’ until she either accepts an ‘offer’ made by the banker or opens all the other boxes and takes what’s left in the box she chose at the start of the game. The contestant will have several chances along the way to trade what’s in her chosen box for what the banker is offering her at the time. The host will interact with the contestant and anyone else in the chat room as the contestant chooses which boxes to open. The contestant is only allowed to open a specific number of boxes at a time before another offer from the banker is made for the contestant’s box. Once the set number has been opened, the contestant will ask the banker in the chatroom for an offer. The banker will then post the offer and the contestant will have to state “Deal” and take what the bank has offered, or “No Deal” and continue to open boxes, hoping that the box worth the most is what she chose at the beginning of the game. If you’ve never seen the game played and are still confused as to how to play, don’t worry! If you’re in the top 10 for the week and you’re chosen as a contestant we’ll walk you through each step, and there will always be an ‘audience’ of fans and friends there to help you make decisions too. The contents of the boxes are all either Arctic Frog product/services, cash, or a mixture of both, with the box values ranging from $25 to $500! A gallery of each week’s top 10 submissions will be kept on the Arctic Frog’s website throughout the competition to help inspire everyone to use their creativity and play to win!!! Arctic Frog employees and design team members are not eligible to enter. We will accept submissions from anywhere in the world!! Prizes containing cash will be paid in USD currency values. Entries must be made via email by 5 pm CDT on each Friday evening in order to be considered for that week’s challenge. Feel free to email us at DOND@arcticfrog.net with any questions you have for us. We'll email you back the answers and we'll post them here as well! BE SURE TO HAVE YOUR LAYOUTS UPLOADED BY 5:00 PM ON FRIDAY TO BE CONSIDERED FOR THE FINAL 10!!!!! - thats Friday USA - so there is still time for us Aussies. The Everyday Moments (EDM) competition that we are running through For Keeps magazine is now officially underway. We hope that you join in on what will be an amazing journey. There is quite a bit of information to absorb with this promotion, so we will list everything under headings to make it as clear as we can. As we become aware of questions relating to the competiton we will update this post so that you only need to look in one place to find the answers. Timing of Competition - The competition will run from Issue 44 (July '06) until Issue 51 (February '07). Your entries must be in to For Keeps by 5pm on 31st March '07. Judging will take place in April '07. Prize Pool - Attached to the album competition is a prize pool of $10,000 in product from the competition sponsors. The prize pool will be shared amongst 10 lucky winners. 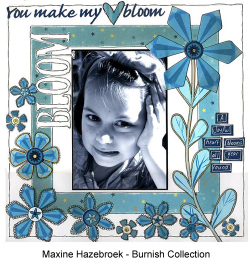 Competition Sponsors - We have 10 fabulous sponsors for this competition - BasicGrey, Scenic Route, Junkitz, SEI, Sassafras Lass, Michael Miller Memories, Carolee's Creations, Li'l Davis Designs, Heidi Swapp and Strano Designs. Album Specifications - Your album must be no smaller than 6"x6" and no larger than 12"x12". The album does not need to be from one of the sponsors; You may use any album that you choose. EDM Themes - Each month for the next 8 months, we will announce a different Everyday Moments theme in For Keeps magazine. 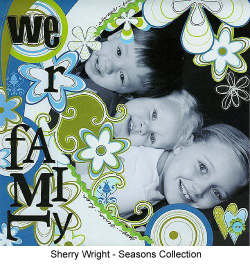 The themes are broad and include family, home, work, and so on. You may interprete the themes however you like. Number of Layouts - You must complete at least 3 layouts for each monthly theme. At the end of the 8 months, you will have completed 24 layouts dedicated to the Everyday Moments of your life. You may complete more pages but it is not a requirement. Use of Sponsor Product - You must use at least 80% sponsor product throughout your album. There are 10 sponsors and you may use any of their products on any of your pages. Use of Onsert - Each month we will be providing a free product from one of the sponsors. This "onsert"; (so called because it is attached on the magazine rather than in the magazine) must be used in one of the layouts you create for that month's theme. Online Competition - In addition to the album competition, we will be running an online competition each month on the FK website. This competition is completely separate to the album competition. You may enter one or both competitions. Online Prizes - There will be 5 prizes awarded each month for the projects that best showcase the sponsor's product. Online Comp Rules - The rules for the online competition will be posted to the FK website over the next couple of days. We will then post them here so please check back. Participating Retailers - Many of the participating retailers are also running in house competitions over the course of the next 8 months to help keep you all on track. We recognise that this is a huge commitment and we will do what we can to keep you all inspired and motivated. 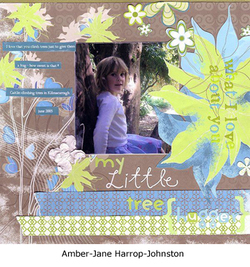 Aussie Design Team - Every week we will put a selection of layouts from our Design Team here on the blog. We will showcase a broad range of products from each of the 10 sponsors. Starting now and running through August 30th, the Summer Celebrations Contest is all about summer activities, family adventures and the carefree days of the season. From hand stamped postcards to scrapbooking family reunions, we know you will be making invitations, decorations, and inspiring craft projects. Enter your pool party invitations, picnic decorations and ideas that reflect the warm summer months in our Summer Celebrations Contest! Winners can win up to a $200 shopping spree from the Hero Arts collection and will be published on the Hero Arts website starting September 15. Please take a moment to read the Contest Rules and Contest Details over at www.heroarts.com. Contest ends 30 August 2006 and is open to internationals. Aussie Scrap Source and Arctic Frog have teamed up to run a fabulous competition through our retail stores. The prize is a private class for 10 people to be taught by US celebrity Alannah Jurgensmeyer. Many of you will know about this cool competition already but for those of you who don't, here are the details. Alannah Jurgensmeyer from Arctic Frog is coming across to teach classes at the ISC Gold Coast in May and has kindly agreed to being put to work for another couple of hours while she is here. So here’s the deal. Create your best Arctic Frog layout (no smaller than 8.5” x 11”) from any of the Arctic Frog lines in the current catalogue on their website (www.arcticfrog.com). The ranges that you may use are: Rainy Weather, Tennis Anyone, Play Clothes, Garden Party, Carseat Couture, Business Casual, By the Sea, Fall Fashion, Polar Picnic, Spring Break, Sunday Brunch, Flower Show, Take a Hike. Your layout must use at least 80% Arctic Frog product. You may use non Arctic Frog basics such as ribbon (as the Arctic Frog ones are not yet available), plain cardstock, metal embellishments (brads, eyelets, plates, photo turns, etc). 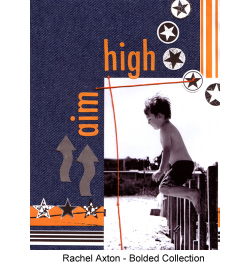 No competing products in patterned paper, alpha or accent stickers, rub-ons are to be used. 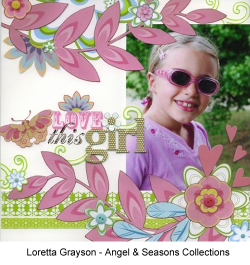 All entries must be sent in by your local scrapbook store/business owner. All entries must be received by Aussie Scrap Source by cob Monday 1st May but your local store may have an earlier cut-off to allow them time to get the submissions photographed or scanned. You may submit more than one entry. The winning store will win a private class for 10 (the store owner plus 9 invited guests) to be held in their store on May 23rd, 24th or 25th depending upon the location of the store and how far Alannah will need to travel to get there. The store owner plus each invited guest will receive a goodie bag that includes an assortment of the latest products available from Arctic Frog plus a few surprises worth approx US$40 retail. The winning layout and thus the winning store will be selected by Alannah herself based on the layout that most appeals to her personally. The winner will be selected on Friday May 5th, giving us 2 weeks to arrange to get the class kits and goodie bags to the winning store and for the store owner to organise invitees. So, you have less than 2 weeks to find a store in your area that is participating in this competition and get your layouts in to them so that they can get them in to me. Good luck! !